One of my moany old complaints about the current ad business is that it seems so damn safe, corporate and vanilla for a so-called creative industry. Where are the mavericks willing to stick their necks out, or the companies daring to be a bit different? No doubt edged out by the normal Nigels who are just desperate to climb the corporate ladder, or to do the right work to win the right award. 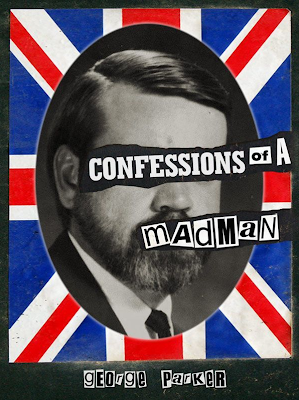 This is one of the reasons why I enjoyed George Parker’s new book Confessions of a Mad Man. In it George tells us the story of his career in this God-forsaken business, punctuated by boozed-filled anecdotes and funny asides. It’s a window back into a time when the advertising business seemed to have more characters, and on the surface of it, more fun. Whilst in the middle of it all - doing work that had more of a point to it. Maybe that's because it was a less grown-up business back then? Who knows? Not me. Anyway, if you haven’t read it yet, it’s well worth it – you can get it here. And if you don't already read George’s piss and vinegar blog Adscam, it’s right here.